Several Maryland state parks will offer opportunities to observe the Perseid meteor shower and other celestial vistas in August. Commonly referred to as “the Perseids,” this spectacular display of meteors is one of the most popular astronomical events of the year. At peak Aug. 11-13, between 60 and 70 meteors per hour might be seen from the ground, depending on location and weather. 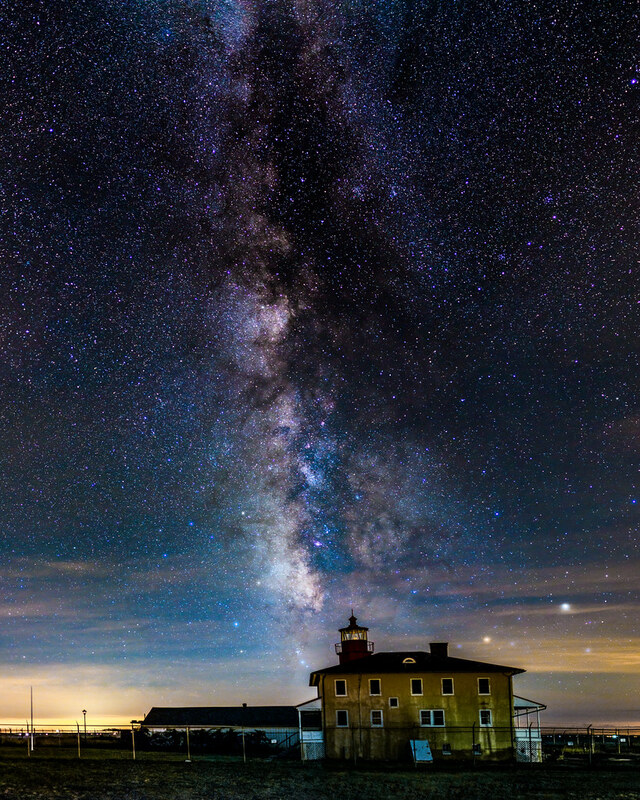 The darker the location, the better the chance for the shooting stars to be visible, making state parks – areas devoid of light pollution – ideal locations for viewing. And this year, the dark “new moon” arriving Aug. 11 should make viewing even better. Friday night, Aug. 10, Tuckahoe State Park hosts a “Star Party” at Cherry Lane Pavilion, with events beginning at 7:30 p.m. Stargazing starts at 9:30 p.m. — visitors should bring a blanket, telescope or constellation app (and bug spray) to the baseball field between the campgrounds to watch meteor showers and spot constellations. The Delmarva Stargazers will be on hand to point out planets and other celestial bodies. The Fair Hill Nature Center inside Fair Hill Natural Resources Management Area will host “Stories of the Night Sky” from 8 p.m. to 9:30 p.m. Aug. 11. In addition to viewing, environmental educators will present the stories behind the constellations. There is a fee to attend and registration is required. Also Saturday, Patapsco Valley State Park will host the Westminster Astronomical Society at the Soldiers Delight Natural Environment Area. Visitors will have a prime opportunity to view the Perseids with provided telescopes. Later in the month Cunningham Falls State Park will host stargazing from 2-5 p.m. Aug. 25 at the Houck Area South Beach and from 9-11 p.m. at the Dam Parking Lot. Visitors will again have the opportunity to stargaze with the Westminster Astronomical Society. An astronomy program will also be held Aug. 31 at Point Lookout State Park. Beginning at 8 p.m., visitors to Fort #3 will enjoy great views of the Milky Way, Saturn, Mars, Jupiter and Venus. Registration is required, so please call 301-872-5688 or email to reserve your spot.